There's no better place to go into a 'dream like' state of mind than in the wilderness of a Scottish salmon river with a fly rod in your hand. Here's a picture from a 'recurring' Tay dream of mine! If you look closely at this lovely photograph of the River Tay's Upper Kinnaird beat you'll see a salmon angler in the distance tucked in fishing the deep streamy channel at the neck of the 'Rock Pool'. If you look even closer in the distance you'll see the big gravel bank opposite the 'March Pool' where the River Tummel enters the Tay. The pool immediately in front in the above photograph is the tail section of the 'Green Bank Pool' which is another very serious Spring salmon fishing hot spot. These above Upper Kinnaird beat locations are serious Springtime hot spots when Tummel salmon are in the area and one of the few beats I could stroll onto during April or May and just know I'll catch a salmon. This Tay salmon fishing venue (even though I've fished and worked on many) is my most favourite one of all. The reality of this beat is that it has never ever been properly marketed 'visually' or 'factually' up until now as other agents haven't a clue about how to fish it or what makes it special. I recall a few anglers coming off the river for lunch in perfect water conditions one May day after 'blanking' and one of them foolishly said to me 'show me how it's done'. It took less than 10 casts to prove my point on the 'Daffodil Lie' in front of the fishing hut to all their amazement before handing the rod over to a Russian fishing guest to deal with. I'll elaborate on the above because this beat has not been taken seriously by hundreds of Tay fishers over the years because the fame on Kinnaird salmon fishing mainly lies on the lovely Lower beat to the uneducated 'catch stats' conditioned eye. If I personally had the choice of either beats for the day I'd choose the Upper Kinnaird beat because it has guaranteed 'rested' holding pools, Tummel fishing, Tay fishing, high water pools, low water pools, harling water, trolling water, a confluence, fly water, spinning water and on occasions when the Tay is running coloured usually the Tummel will be fine or vice versa. To my mind this makes it complete salmon fishing perfection not to mention one of the nicest and most elevated fishing huts on the entire river. My personal memories having fished and ghillied on this special beat for several recent years go up to 27lbs in weight. But over and above the many fly, boat, spin caught encounters this beats has absolutely captured my fly fishing mind. For any salmon angler who can read water and deliver a consistent decent line this Tay venue is loaded with seriously good hotspots. In addition to that this lovely middle Tay beat has a fantastic secluded setting in a very peaceful part of the valley and loads of undisturbed wildlife visits the water's edge each day to add to the fascination of the Upper Kinnaird salmon fishing experience. If you're a salmon fly fisher who likes natural solitude and technically thought out approaches to every riffle or glide without too many others about to diminish your chances of action consider the Upper Kinnaird salmon beat this coming Spring. 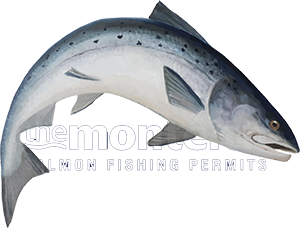 If you stick with me as your agent you'll also receive a detailed pool by pool 'treasure trove' map of each salmon pool showing all the salmon lie 'taking spots' to focus your fly fishing approach on. My motivation is purely to 'lift' the informative & visual presentation of Scottish salmon fishing which I've achieved as that has been at least a decade overdue for our fascinating sport. Here's a few special moments on this lovely middle Tay salmon beat that I personally don't really need Youtube to host as these Upper Kinnaird beat moments and many more are permanently hosted in my head! The Green Bank Pool, The March Pool, The Rock Pool, The March Pool, The Rock Pool, The March Pool, Daffodil Lie, The March Pool. Here's also a magnificent sweeping panoramic video of the absolutely 'amazing' March Pool right opposite the mouth of the River Tummel which you'll struggle to better on any middle River Tay salmon beat during Springtime to end this newsletter on a perfect salmon pool note!